A marquee is a popular choice as a venue for a wedding reception, garden party, or corporate event, but without décor, they can often be a bit bland, and night-time parties can become dark and gloomy. 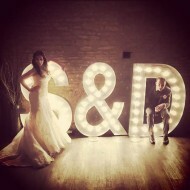 To solve this problem, our marquee letter lights are a fantastic way of adding light and style to your event venue. Lighting with fairy lights is a popular option but not all marquee providers allow you to use them, and they can be a bit clichéd. Why not consider hiring our giant light bulb numbers or a light up letter sign? They’re growing in popularity, and rightly so! Designed for use in marquees, the lights can be used indoors and outdoors to add sparkle to any venue and event. Simply place them against a black sheeting back-drop for maximum effect. Because the metal marquee letters look so much like fairground lights (yet are safer due to their modern-day engineering), they are becoming an increasingly popular option for décor. 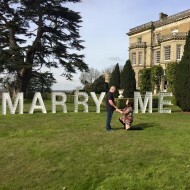 Handmade in the UK and striking at 5ft tall, the letters are easy to set up due to their lightweight design and create a truly vintage movie or Hollywood theme. Only a standard 3-pin plug is needed, making them suitable for almost any venue type. What’s more, our prop hire can help create a theme. 1920s and 1930s themes are becoming increasingly popular, inspired by TV shows and films such as Downton Abbey, Chicago and The Great Gatsby. The jazz-era style is right on point and our metal bulb signs can give your event a style reminiscent of the Golden Age of Hollywood, and make you and your guests feel like movie stars. 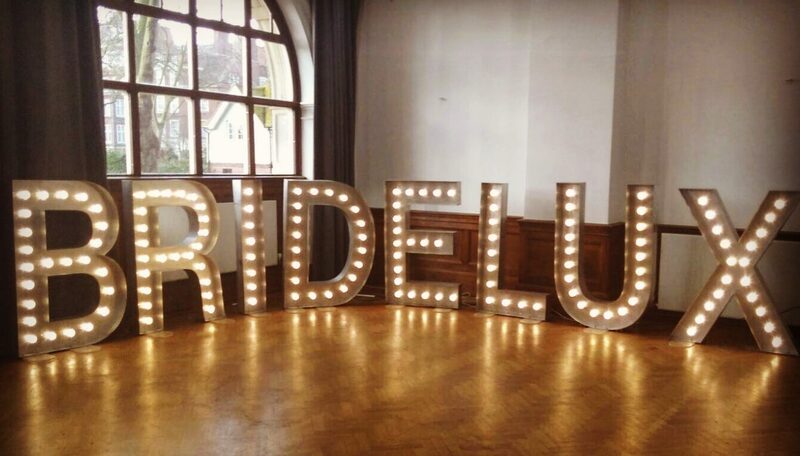 We think that our vintage marquee lights are a stylish and trendy statement for any party venue and add glitz and vintage film star glamour to any event. 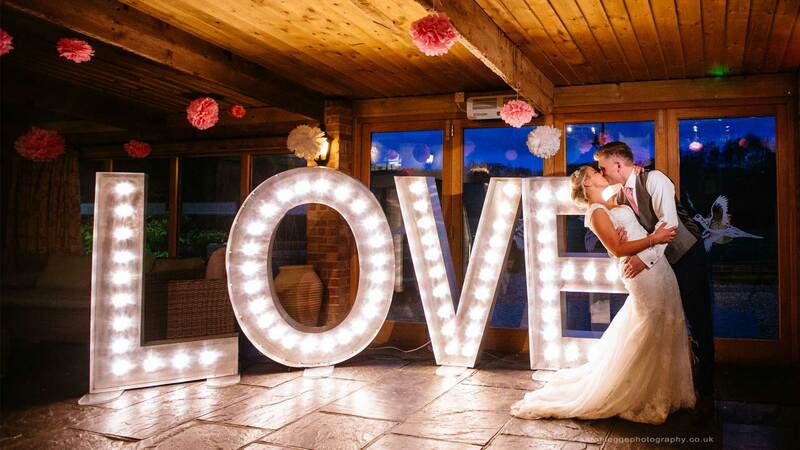 If you’re using our light bulb letters on your big day, try spelling out your initials or your new married name, and make a statement that is personal and full of glamour. 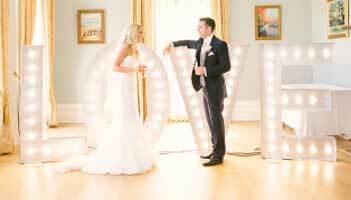 You can even hire LOVE lights or a MR and MRS sign. Whatever you wish for on your special day, Wedding Letter Hire can tailor any product to your exact requirements. What’s not to love about our light bulb lettering? We think they’ll continue to grow in popularity and be a real must-have for every wedding venue. In fact, illuminated letters can be hired for any type of occasion, including birthday parties, anniversaries, school reunions, christenings and corporate events. Think of the possibilities! 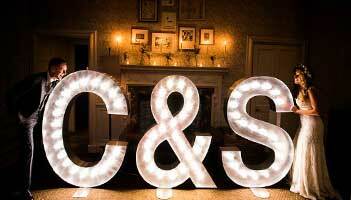 The vintage marquee letters work well on their own, are fun, stylish, impressive and striking – there’s really no need for lots of décor if you choose our prop hire services! What’s more, you’ll encourage lots of photo opportunities and social sharing, which is perfect for corporate events where you’d hope to create a buzz around your brand. Because our large decorative metal letters are in true demand, please make your reservation as soon as possible to avoid disappointment. The hire period is for 24 hours, although longer hire periods can of course be arranged. Our light up letters and numbers are delivered, installed and collected personally by our friendly staff – we don’t use couriers. The LED bulbs don’t ever get hot, so are safe around your guests. 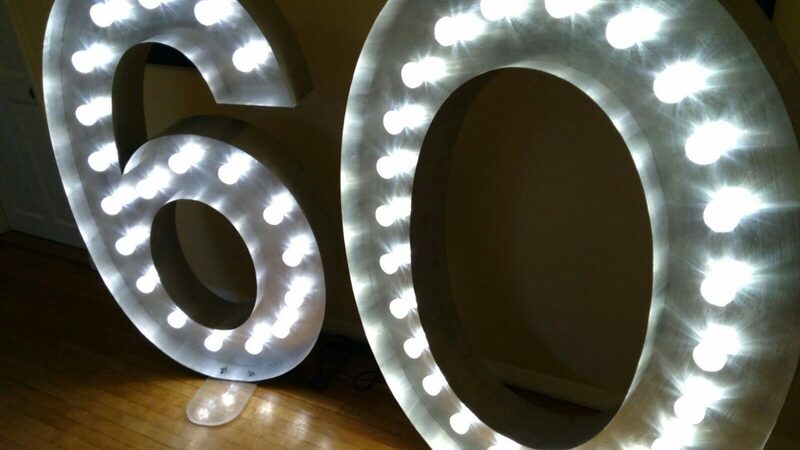 Hand-crafted from aluminium, the illuminated numbers and letter signs are lightweight and can be easily moved around your venue. All of our products are individually wired and have been PAT tested. We are fully insured and can provide certification to your venue on request. If you’re looking for something special, personal, and stylish, then choose our prop hire for your event, and give it that extra WOW factor. 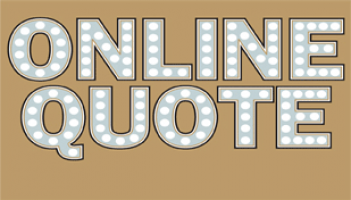 For further information on any aspect of our hire service, contact us at any time. Also check out our blog for further inspiration and find out what we’ve been up to!